Because mesothelioma is often diagnosed in its later stages, treatment options are usually limited and the prognosis is often poor. However, MSK says that regardless of the stage of your disease, as a MSK patient, there will likely be a clinical trial option for you. This is often the case at most major cancer treatment centers around the world. At any given time, these facilities may have hundreds of clinical trials underway for most cancer diagnoses and stages of disease. In the U.S., MD Anderson Cancer Center, Mayo Clinic, University of Chicago Medicine Comprehensive Cancer Center, Northwestern Medicine, and UH Seidman Cancer Center are just a few options. If you have been diagnosed with mesothelioma, talk to your doctor about participating in a clinical trial. New and developing drugs have the potential to extend or save lives. Talk to your doctor today. 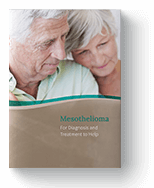 "Mesothelioma Clinical Trials & Research." MSKCC.org. Memorial Sloan Kettering Cancer Center (MSK), 2018. Web. 26 Mar. 2018.